Beautiful Bangsaray, isn’t just a tagline or something marketing guys have created … it’s a reality. 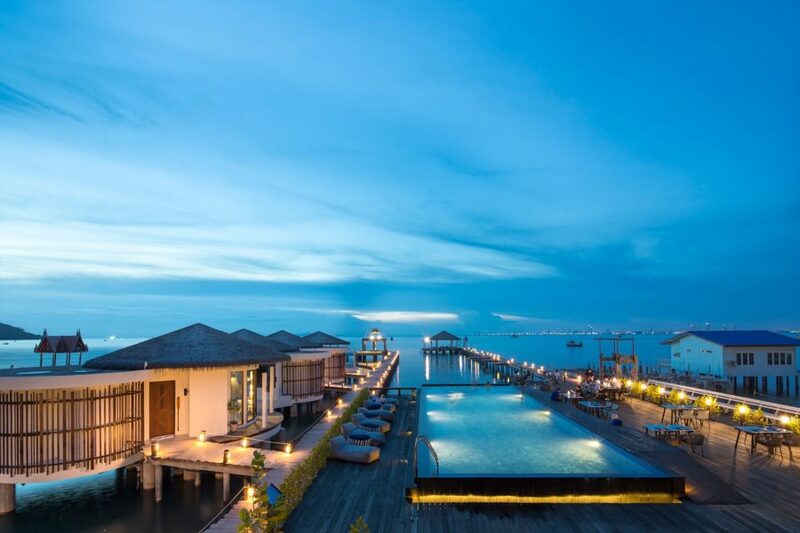 Only 15 minutes’ drive south from one of Thailand’s busiest beach resorts, Pattaya, you find yourself in Bangsaray. Don’t let the proximity confuse you, though, as the two places are worlds apart in ambiance. On arrival in Bangsaray you get a sense of the charm this quaint seaside town has. Once a fishing village Bangsaray now is regarded as one of Thailand’s fastest-growing tourist destinations. An area that is attracting visitors to its pristine beaches, stunning temples and famous seafood restaurants. Soft sand beaches and a crystal-clear sea aren’t the only things Bangsaray has in its favour. Its location couldn’t be more perfect. 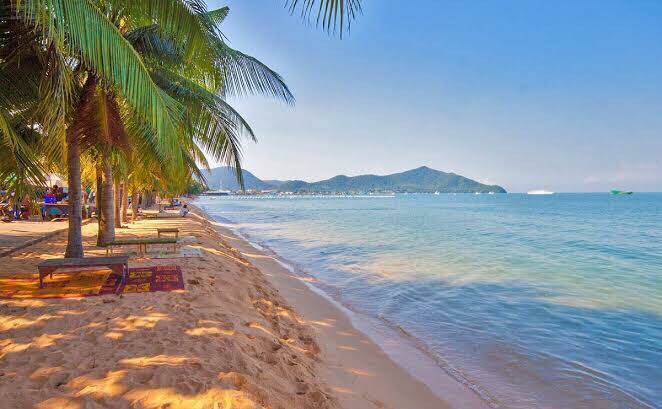 Only a 90-minute drive from Thailand’s number one international airport, Suvarnabhumi and 15 minutes outside the vibrant city of Pattaya it is now seeing huge amounts of government money being spent on its surroundings as Bangsaray is quickly becoming the place to be. Thailand’s Eastern Economic Corridor (EEC) is gathering pace and development, meaning the government is spending and spending big on the area with new roads, motorways, easy access as well as proposed high-speed trains from major cities and airports to Bangsaray. Another plus is the development of nearby Utapao International Airport. Utapao is set to be Thailand’s third largest airport having recently gone through an upgrade and now caters not only for domestic travel but international, and it’s only a short 20-minute drive from the serenity of Bangsaray. Don’t worry, as the new highway being built beyond the hills of Bangsaray will ensure that the airport’s growing importance won’t impact on the town’s tranquility. Over the past few years the whole area has seen dramatic change with the main Pattaya-Jomtien-Bangsaray road as a prime example. Places such as Nong Nooch Tropical Botanical Gardens, which features daily ‘cultural’ shows and arguably the best collection of flowers and plants in this corner of Thailand, as well as the Cartoon Network Amazone Waterpark boasting all kinds of breathtaking and hair-raising rides! 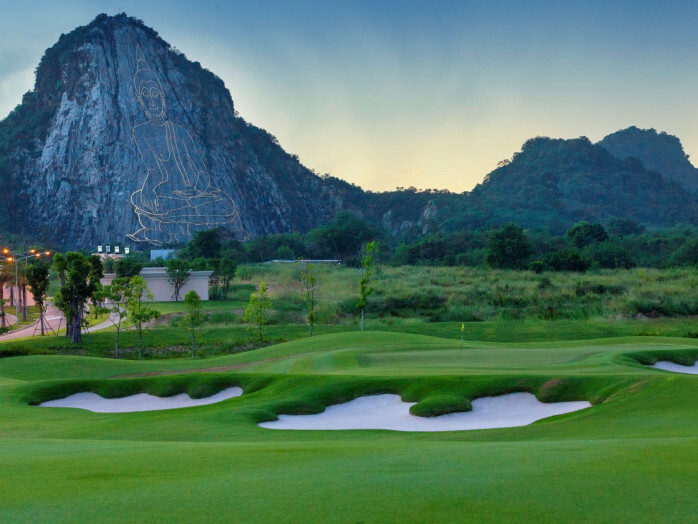 Also, nearby are some of Thailand’s best golf courses, Phoenix and the brand new Chee Chan Golf Resort along with at least 20 courses within an hour’s drive that rank among the top PGA courses in the country. The town is also home to five-star resorts such as Kept Bangsaray. 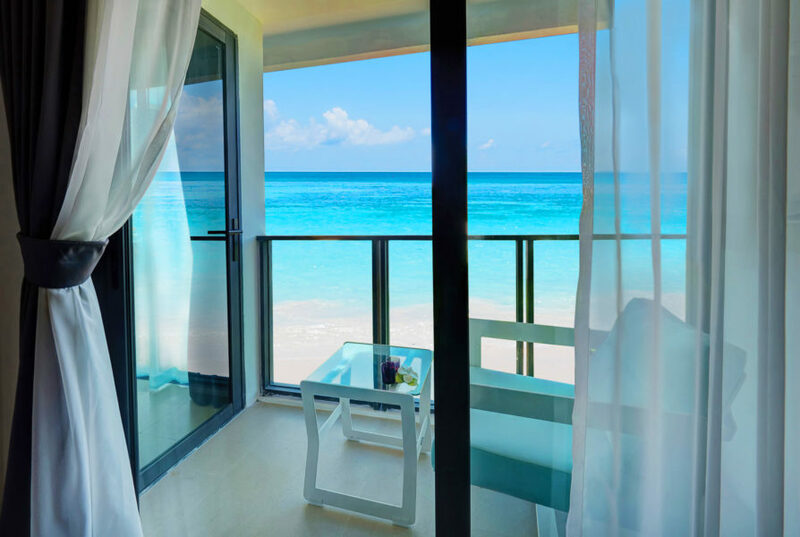 Kept is a beautiful resort with tasteful design, decor and furnishings that have a seafaring theme. 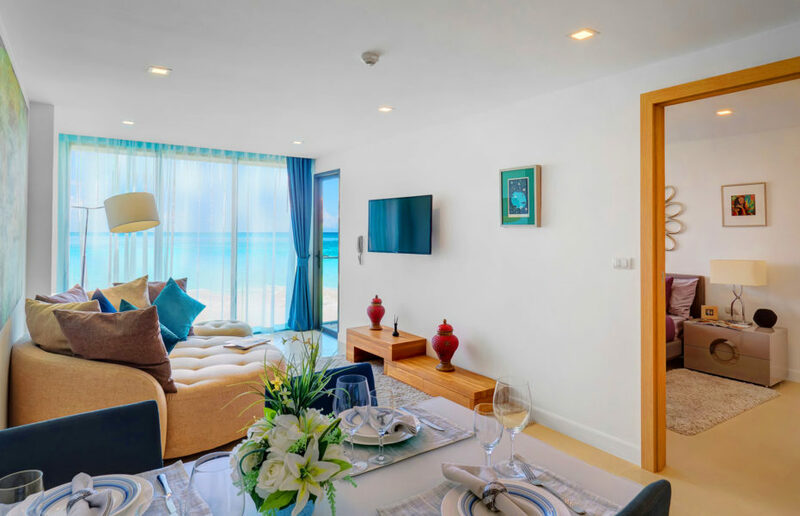 Its breathtaking seafront location and facilities are first class and another prime example of Bangsaray’s rise upwards. 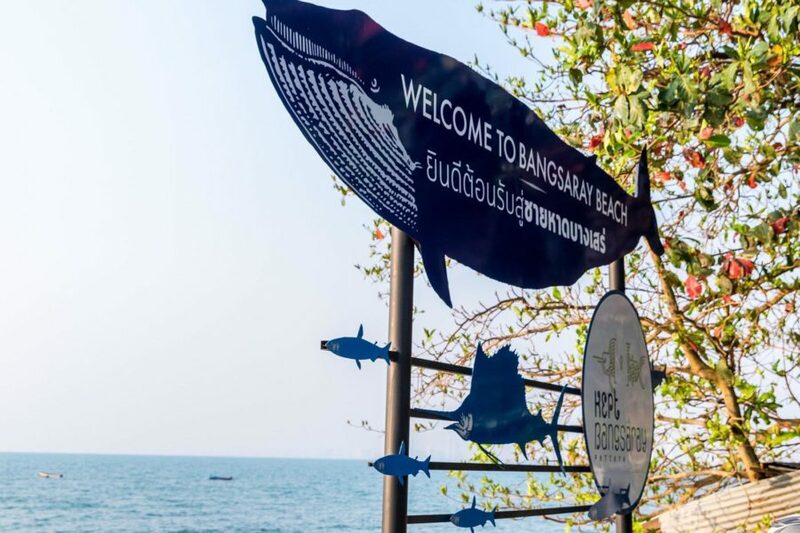 The clear air and peaceful green and lush environment as well as its clean and quiet beaches are maybe the biggest draw to relocate to Bangsaray. Whether that be full-time or holiday home, it’s fast becoming the educated choice. Land prices are on the rise just like in Pattaya, Jomtien and Na Jomtien. Bangsaray hung in there with some very attractive land and condominium prices but that is changing and now’s the time to buy as the return on your condominium investment looks sure to only go in one direction – upwards. 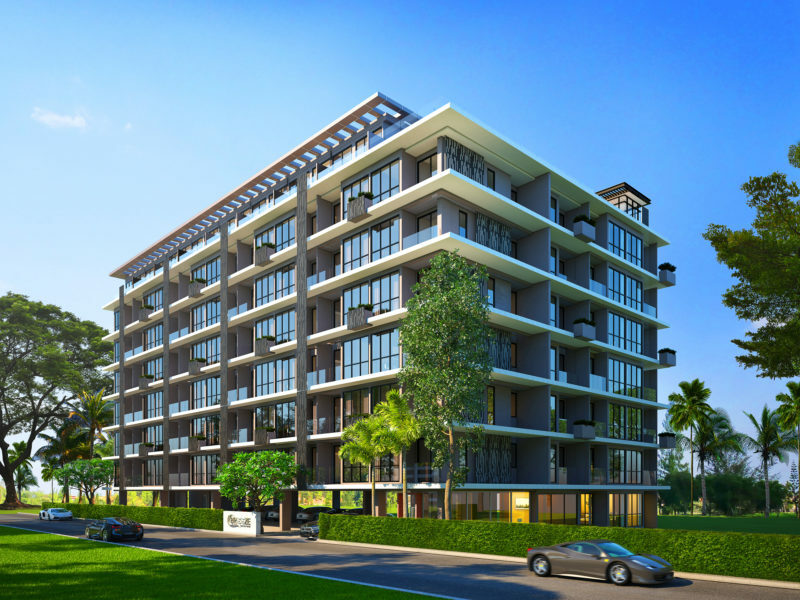 Breeze Beach Side Condominium is a joint venture between The Aurora Group and The Platinum Property Group and is the second project under the brand in Bangsaray. Both companies have a record of producing high-class condominiums where attention to detail, workmanship and quality are centre stage. Aurora’s flagship development on Pratumnak Hill in Pattaya has already seen the company win two prestigious Thailand Property Awards in 2017 and in the same area of Pattaya, The Platinum Property Group has now completed and sold three condominium with a fourth well under way. 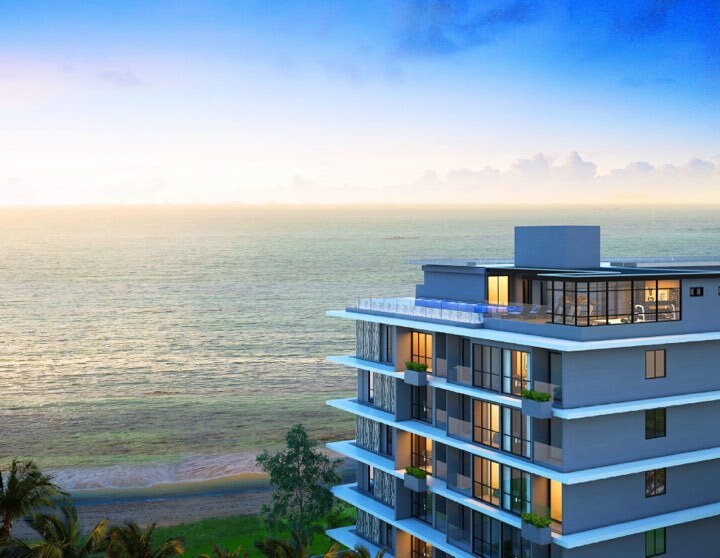 This, in itself, is reassurance that the brand-new low-rise condominium Breeze Beach Side will not only be a resounding success, but a much sought-after project. 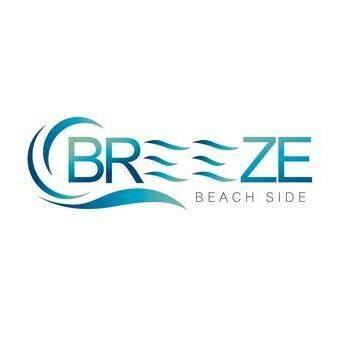 Breeze Beach Side is on the private side of Bangsaray beach. It will be an eight-storey condominium with an entry price of Bt1.3m with prices being as low as a staggering Bt53,000 per sqm. This makes the project a great investment with huge potential. Only 50 metres from Bangsaray’s beautiful beaches Breeze offers privacy and escape. 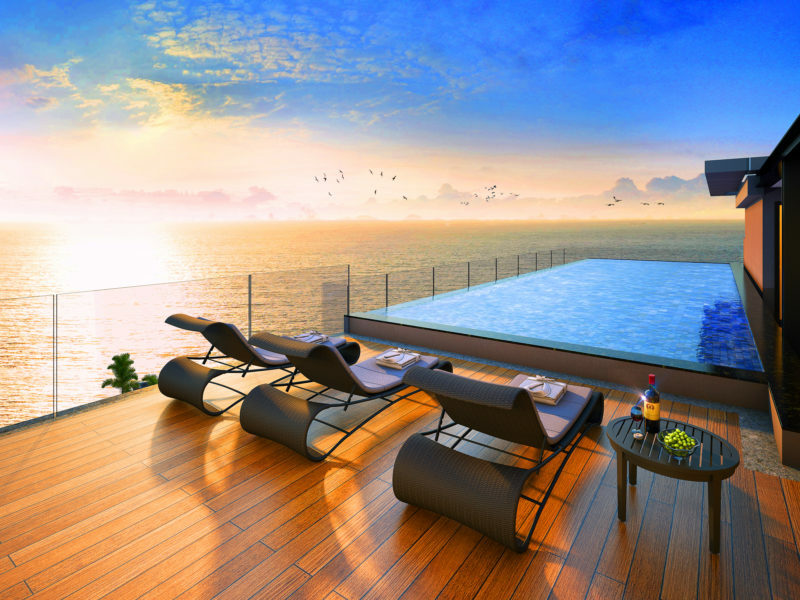 With only 131 units available Breeze Beach Side manages to maintain its intimacy in a luxury, boutique-style setting. The units range in size from 26.50 sqm for a one bedroom to a 32.50 sqm one bedroom with four variants in design and layout. There are also much larger 64 sqm two-bedroom units. Every unit has floor-to-ceiling windows with quality built in-kitchens, thick durable soundproof walls and comes fully furnished to the highest standards. Imagine yourself poolside only a stone’s throw from the beautiful picturesque beaches and scenery Bangsaray has to offer.